The word narcissist has been bandied about a good deal recently. It is a disorder of the personality, and unlike other psychological disorders, there is no cure, no psycho-pharmacological remedy. 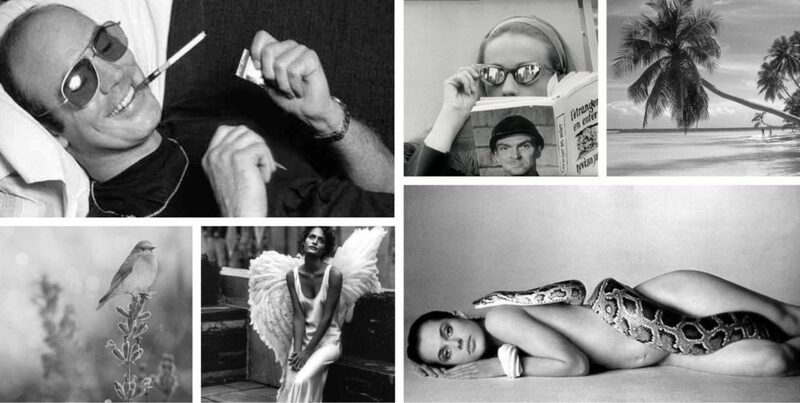 I’ve known quite a few narcissists in my time: men, women, young, old, different walks of life and histories. It is democratic in that regard. Narcissus’s end isn’t much better; he falls in love with his reflection when he sees it in a pool of water, and unceasingly gazes upon himself until he dies. 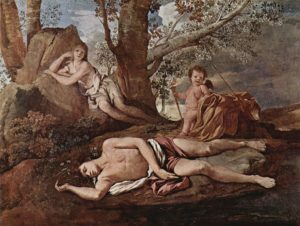 The nymphs – they were a kindhearted lot – forgivingly commence to bury him, but when they go to his body: he is gone. 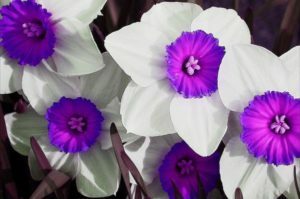 What is left is a flower, in one account purple within with white petals – the description varies. However, what is consistent is that the flower is commonly found by the side of a brook or stream. How wise were the ancients! They got it right long ago. I have witnessed, among friends and others, that in the dynamic with a narcissist, the one bestowing love – it’s completely depleting and self-annihilating. As for the narcissist – they are pitiful creatures – they are all together alone as they too wither and go. They don’t leave a lot of happy memories behind. To be sure, many narcissists are extremely charming, charismatic, captivating, enchanting – all that sort of thing. They draw people to them, and once the masque is removed, one is in way too deep. All the current Sturm und Drang aside, I would say why not delve into some of the classics? 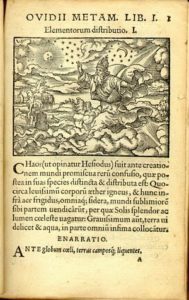 There are some marvelous tales of transformation from good old Ovid, and many myths and legends found in other tomes. The experience, shall we say, may be transformative? 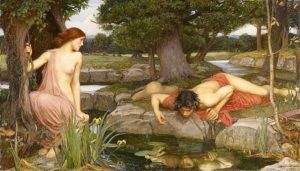 This entry was posted in Life Imitates Art, Reflection and tagged academicism, Artemis, Bulfinch's Mythology, Echo, Echo and Narcissus, Edith Hamilton's Mythology, English Poet, French Baroque, Jean-Leon Gerome, John William Waterhouse, Latin poetry, narcissism, narcissists, Narcissus, narcissus flower, Nicolas Poussin, Olympian Gods, Ovid, Ovid's Metamorphoses, personality disorders, Poet Laureate, Pre-Raphaelite, Pygmalion and Galatea, Sylvia Plath, Ted Hughes, the Augustan Age by Clare Irwin. Bookmark the permalink. Hi my good friend! You should be so pleased and proud of the impact you have made. And, Clare – you are a truly amazing and beautiful person- don’t change anything! Hi! I checked out your blog and it’s really awesome! Glad you are having fun :)! I really enjoy this blog. You certainly come up with great well written articles. Thanks a bunch for sharing your website. Quality articles is what this site is providing. Simply want to say your article is astonishing. The clarity of your post is simply nice and I can assume you are an expert on this subject. Thanks a million and please carry on the enjoyable work.